Last weekend, we strapped on our most comfortable walking shoes, checked our gaming wishlist twice, and jumped headlong into the self-proclaimed “best four days of gaming”—the annual Gen Con tabletop gaming convention in Indianapolis, Indiana. This year’s 50th-anniversary show was extra special: turnstile attendance for an estimated 60,000 con-goers reached a record-breaking 209,000, and for the first year ever, the con sold out well before the doors opened on Thursday. 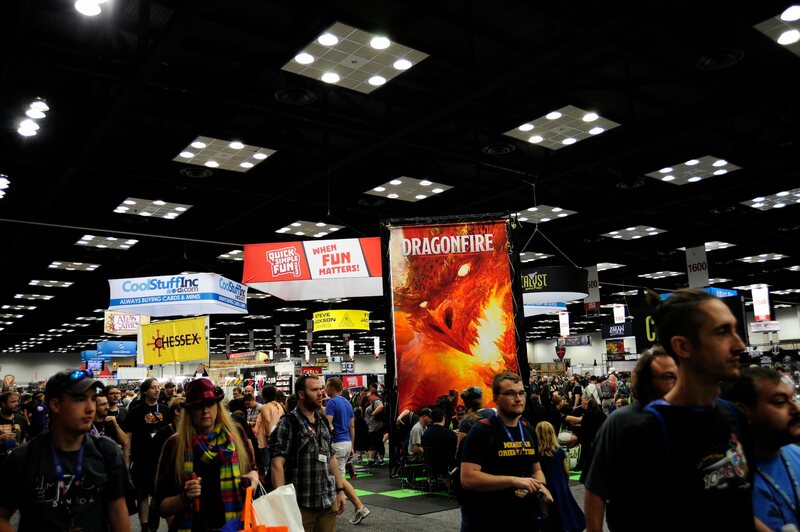 With approximately 500 exhibitors, over 19,000 ticketed events, and entire convention halls and stadiums filled to capacity with board games, roleplaying games, miniatures games, and everything in between, Gen Con is a lot to take in. We couldn’t get to all of it, but we skipped sleep, meals, and general mental well-being to bring you what we see as the best of the show. Below are the 20 board games we think you should be paying attention to going into the last few months of the year (cube-pushing Eurogame fans will want to tune in again in late October when we hit the giant Spieltage fair in Essen, Germany). Most of the games below will be coming out over the next several weeks and months, but because of the vagaries inherent in board game releases, exact dates are hard to pin down. Your best bet is to head to your local retailer, boardgameprices.com, or Amazon and put in a preorder for anything that catches your eye. And if you missed it, be sure to check out our massive photo gallery of the show.